The Windies enjoyed that one as Voges joins Smith (68*) out in the middle. Voges works one behind point for a boundary and he's off the mark. Australia 3-138. 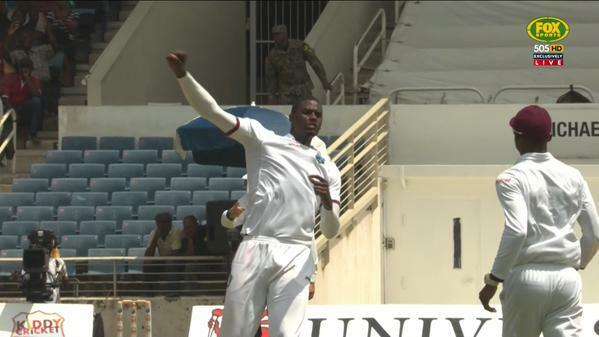 Just the single from Brathwaite's opening over of the day with Australia 3-143. 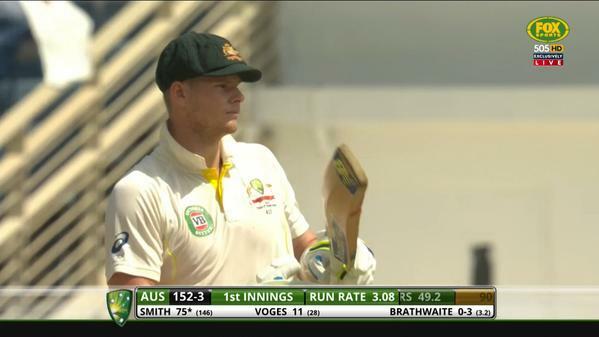 Smith 69* & Voges 8*. 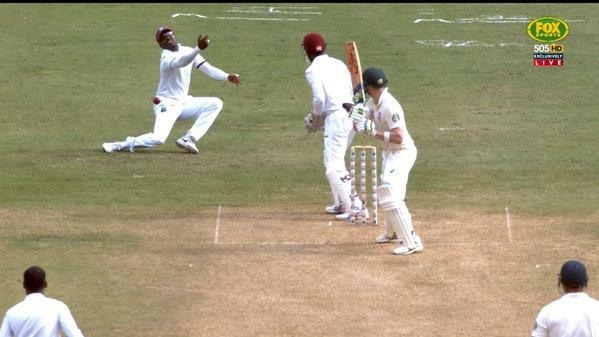 Smith has had enough of all these dot balls and sends Permaul to the boundary to move to 75*. Taking on the spinners in the Baggy Green. 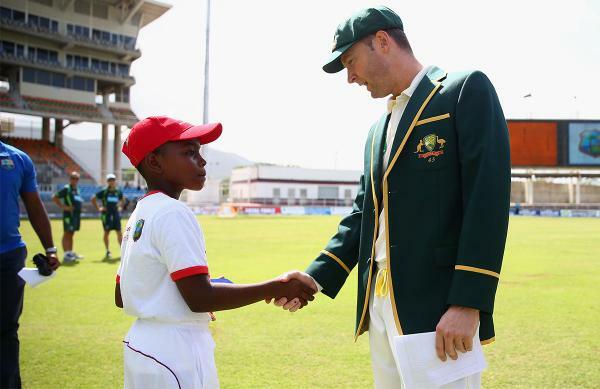 One of the great sights in cricket! Glorious drive from Voges to pick up four after the tea break. 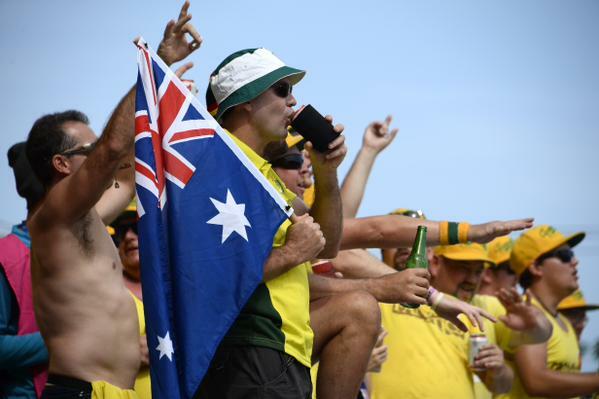 He moves to 22*, Australia 3-174. 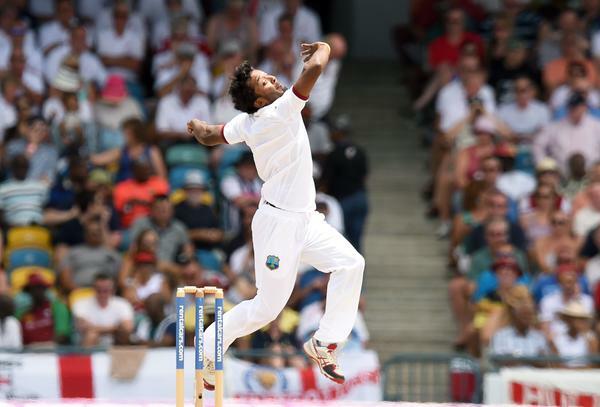 You can't bowl there to Steve Smith! 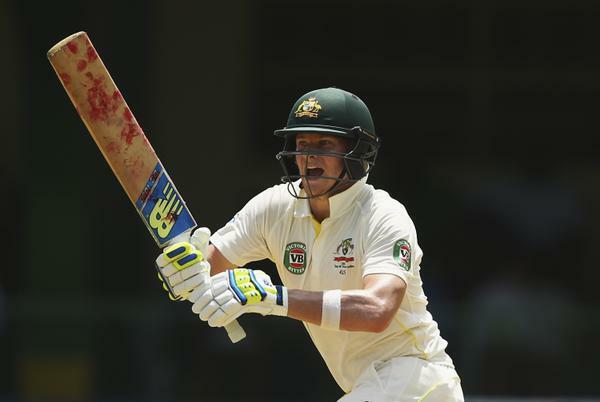 Four more to the score and he is now 95* with Australia 3-186. OUT! 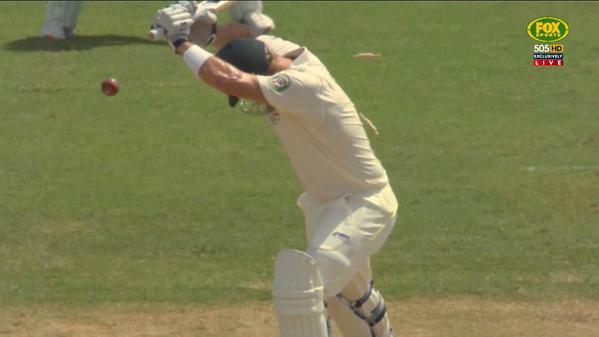 Taylor strikes again with the wicket of Voges, caught behind for 37. Australia now 4-210. NOT OUT! Great review from Smith and he survives on 109. Going down leg. Australia 4-219. 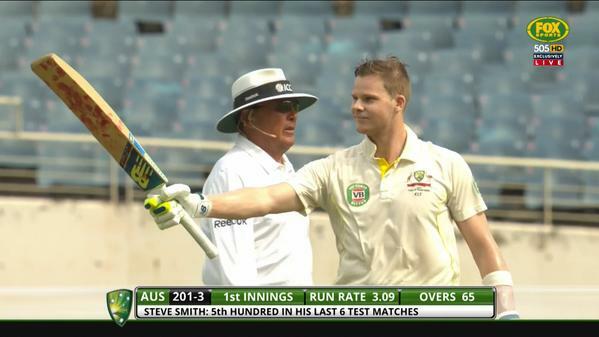 Steve Smith: Can bat. Can review. A rare error from Richie K.
One more over until the second new ball is due with Australia 4-240. 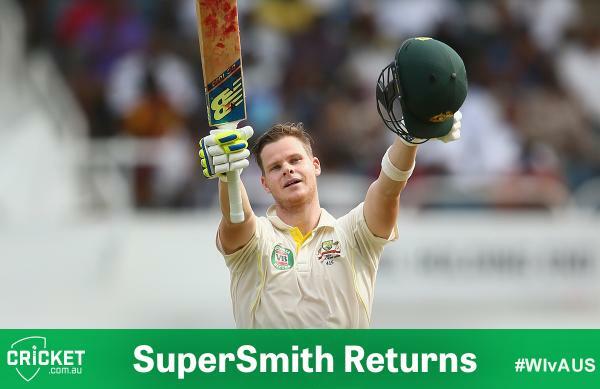 Smith is 124* and Watson 13*. 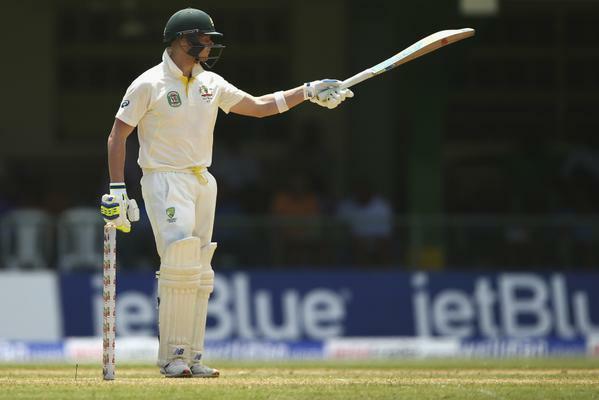 Not long until stumps as Smith (130*) and Watson (19*) look to get through day one. Australia 4-252. Day two about to start in Kingston: Predictions for the first session? 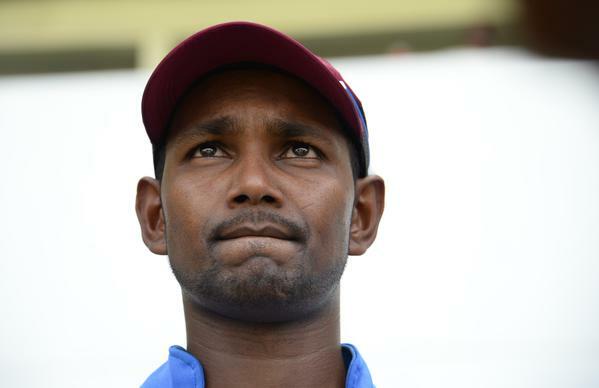 New ball taken immediately by Ramdin and Taylor has Watson attempting a pull shot first up. 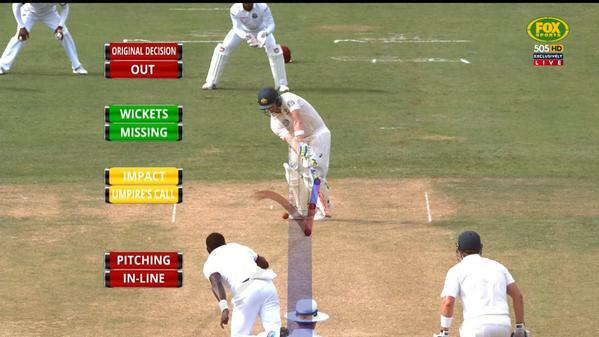 No batsman wants to see this. SHOT! Haddin is off the mark with a glorious drive through the off side for four. Australia 5-269. DROPPED! Haddin gets a life on 8 as a chance goes down at point. 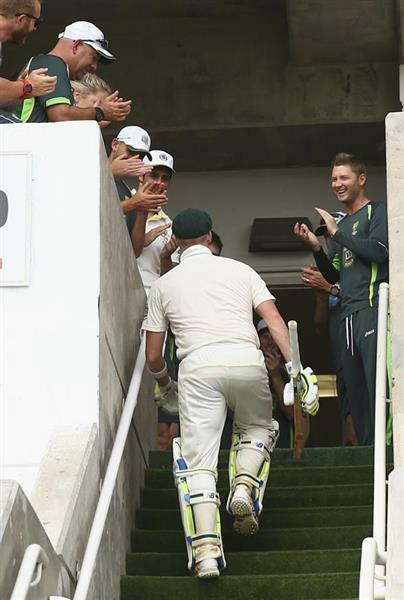 Australia now 5-275.